Bazlama is a flat, bread found in Turkey. I have posted a Bazlama flat bread recipe , which everyone loved at home. So this time for the Bread Bakers theme Stuffed Bread , I decided to make this again with stuffing. This is a comforting and filling bread. We had this for our dinner with Sour cream. In a large bowl, sift both the flours together with salt. Add the yeast and sugar. mix well . Add water little at a time till it forms a soft dough . Take the dough on the lightly floured counter and knead well for about 5-6 minutes until it becomes smooth . Place the dough in a large oiled bowl, cover it with a clean, damp towel. Put aside for about 40 minutes at room temperature until the dough rises to double its size. Place the dough on the lightly floured counter. Press all over it with your hands to get rid of air bubbles. Cut the dough in 6 pieces with a knife. With your hands to flatten , with a rolling pin roll into a round shape and 1/4 inch thick. Fold. Press the edges to close it up. Let it rest for 15 minutes. Heat up the medium sized pan just under low heat ( I used a mud pan). Place one Bazlama on it and cover the pan . After 4 - 5 minutes open the pan . Cook one side of Bazlama until there are some light brown spots on it. Then turn it over and cook the other side. Spread some butter over them. Place it in an airtight container to keep warm. Enjoy this cheesy warm Bazlama with sour cream. Sending this to Bread Bakers - Theme: Stuffed Bread , our host for this month is Jenni . Potato stuffed cheesy bread - I'm all in! Mmmm, I can just imagine the crunch of biting into one of these. Great flavors all pocketed inside gorgeous bread, nicely done!! 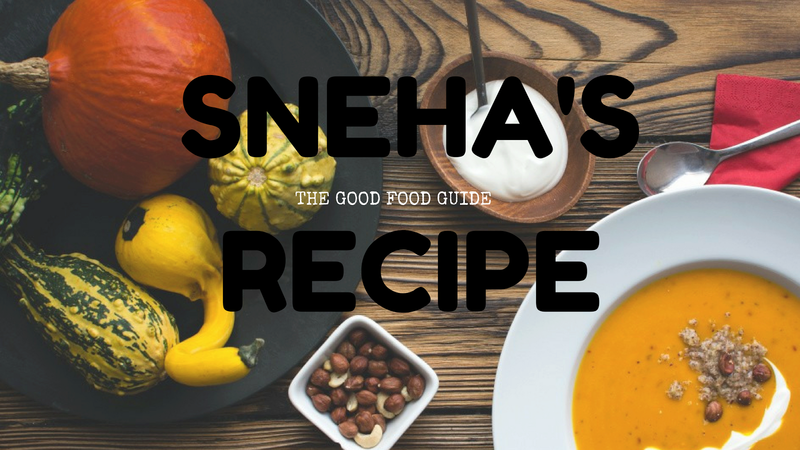 Oh, yum, Sneha! These look great! I am intrigued by your pan. Is it made of pottery or metal? I love this group. We learn about so many different cultures and traditions. This bread reminds me of large pierogi. Yum!! This sounds amazing!!! I am definitely going to try these!! You've made a hearty meal with your potato and onion filling- I would love a taste! Yummy, yummy!! Potato and cheese stuffed bread looks so tempting and delicious. Oh man, potatoes, cheese, and bread are like my 3 favorite things. Lovely and delicious looking bread Sneha! I love breads with a potato filling and the cheese just takes it to the next level of deliciousness! Thanks for sharing! I love turkish bread but have never seed it stuffed! Great idea! So beautifully done, love the filling!!! The filling sounds great, it looks delicious too!